简介: Cryptography is present in everyday life, from paying with a credit card to using the telephone. Learn all about making and breaking puzzles in computing. 简介: This is one of the first courses we offer for students interested in the emerging field of data science. This is a great course for those interested in entry-level data analyst positions as well as current business/data analysts looking to add big data to their repertoire, and managers working with data professionals or looking to leverage big data. 简介: In this course you will examine real world problems -- rescue the Apollo 13 astronauts, stop the spread of epidemics, and fight forest fires -- involving differential equations and figure out how to solve them using numerical methods. 简介: We live in a time of unprecedented access to information...data. Whether researching the best school, job, or relationship, the Internet has thrown open the doors to vast pools of data. Statistics are simply objective and systematic methods for describing and interpreting information so that you may make the most informed decisions about life. 简介: Exploratory Data Analysis (EDA) is an approach to data analysis for summarizing and visualizing the important characteristics of a data set. Promoted by John Tukey, EDA focuses on exploring data to understand the data’s underlying structure and variables, to develop intuition about the data set, consider how that date set came into existence, and decide how it can be investigated with more formal statistical methods. 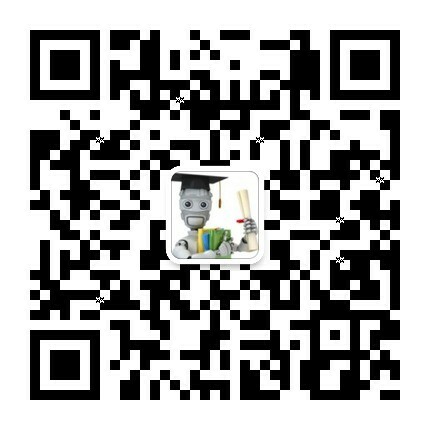 简介: This course will teach you how to think like a verification engineer. It will show the software development aspects you need to know to ensure chips are working as expected. You will learn how to implement verification environments. 简介: This course will walk you through the major components of building GRITS, an HTML5 game. We'll talk about how to take standard game development techniques, and use them to create high performance HTML5 applications. 简介: The Apache™ Hadoop® project develops open-source software for reliable, scalable, distributed computing. Learn the fundamental principles behind it, and how you can use its power to make sense of your Big Data. 简介: In this class, you will learn basic skills and concepts of computer programming in an object-oriented approach using Java. You will learn concepts like classes, methods and argument passing, loops, and general problem solving ability that will become building blocks to your programming skills. 简介: This course provides a brief review of introductory algebra topics. Topics to be covered include integer operations, order of operations, perimeter and area, fractions and decimals, scientific notation, ratios and rates, conversions, percents, algebraic expressions, linear equations, the Pythagorean theorem, and graphing. 简介: In this class you will learn how to debug programs systematically, how to automate the debugging process and build several automated debugging tools in Python. 简介: This course will teach you how to think like a software tester, how to find bugs in code earlier, and write better code. 简介: This course will provide you with the knowledge needed to start recognizing the role of design in today’s world, and to start making better design decisions in your own life. In addition to learning basic design concepts such as affordances and signifiers, you will also gain practice in observing and applying design principles. 简介: Throughout this course, we will use algebra to quantify and describe the world around us. Have you ever wondered how many songs can fit onto your flash drive? By the end of the course, you’ll have stronger skills for modeling problems, analyzing patterns, and using algebra to arrive at conclusions.